plastic pelletizing machine | Silver Python Machinery Co., Ltd.
Use for HDPE plastic pelletizing machine, LDPE plastic pelletizer machine. This set is use for HDPE/LDPE hard scraps. Water ring hot cutting pelletizing line. Round pellet,have the similar shape with the new pellet. According to customers’requirement,shaker can be adopted. Water ring pelletizing could avoid the problem of strand broken during processing. 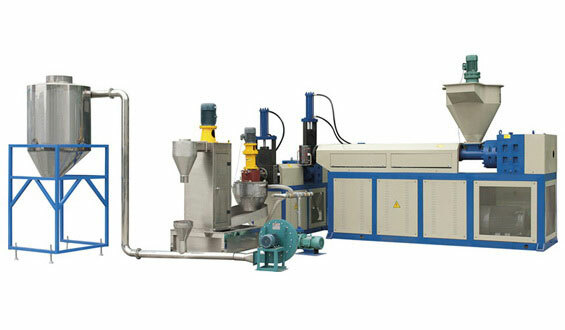 Recycle plastic granules making machine price will meet your needs best.